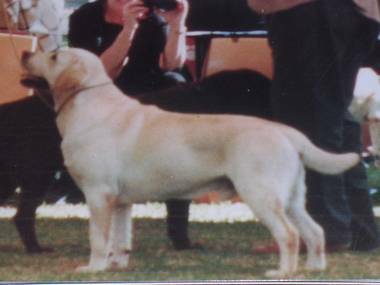 Photo - AUST GRAND CHAMPION Wintoppi Jack Bnimble "Coby"
Please visit us regularly as we will be updating photos and info often. Our dogs are a huge part of our lives and enjoy the open space and fresh air, living the rural life a couple of hours from Brisbane! We breed occassionally, but enjoy showing our dogs on a regular basis. We are exceptionally proud of the fact that our dogs are consistent winners in the show ring at All Breeds and Specialty level. With 3 generations of BEST IN SHOW Championship Specialty Winners, our dogs have proven they have what it takes to go all the way to the top! Our show and breeding experience has spanned over 40 years so far, with great success! We strive to breed an overall package not just the latest trend. Our puppies are home raised and socialised with children, adults and lots of other animals. We pride ourselves on the fact that our puppies do make excellent family companions first and foremost! Please feel free to contact us for more information on our dogs and future litters. Please don't forget to sign our guestbook! !